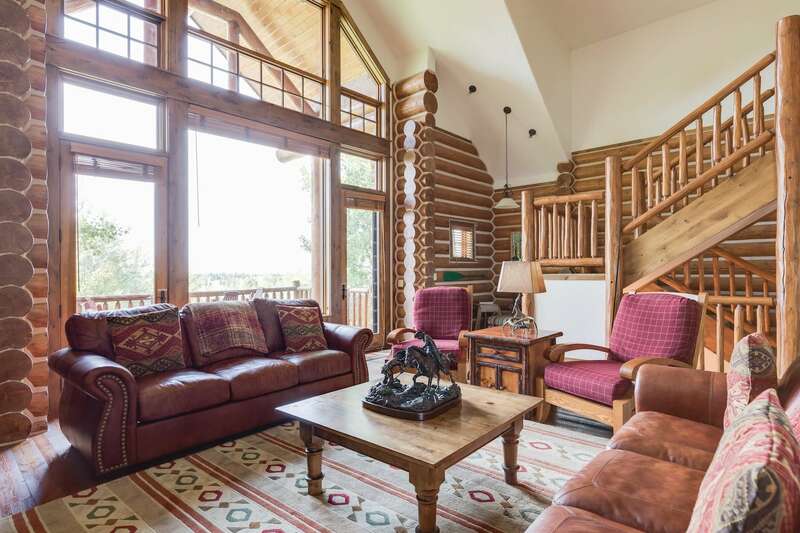 Enjoy this 3 bedroom plus bonus media room cabin located on Bannock Circle and bordering Caribous-Targhee National Forest. 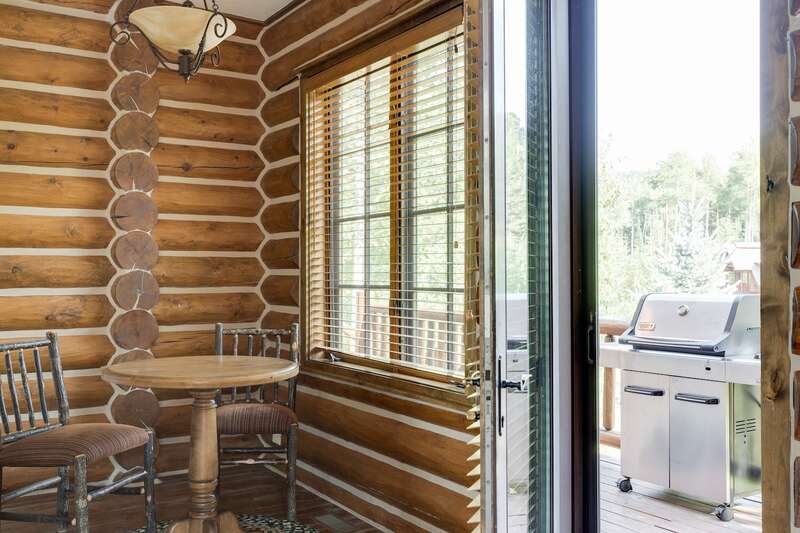 Whether you want to step outside your door into the many hiking trails available or relax in the media room with projector screen and Blu-ray, Big Red Cabin is the perfect fit for your vacation getaway. 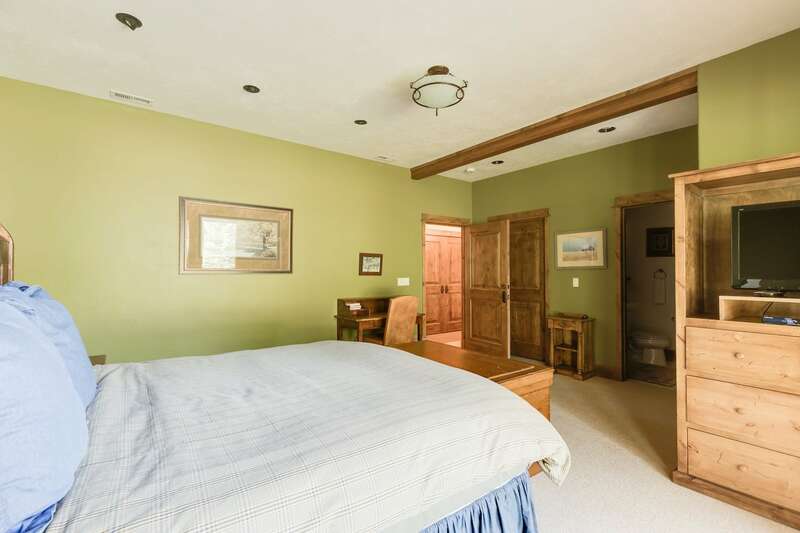 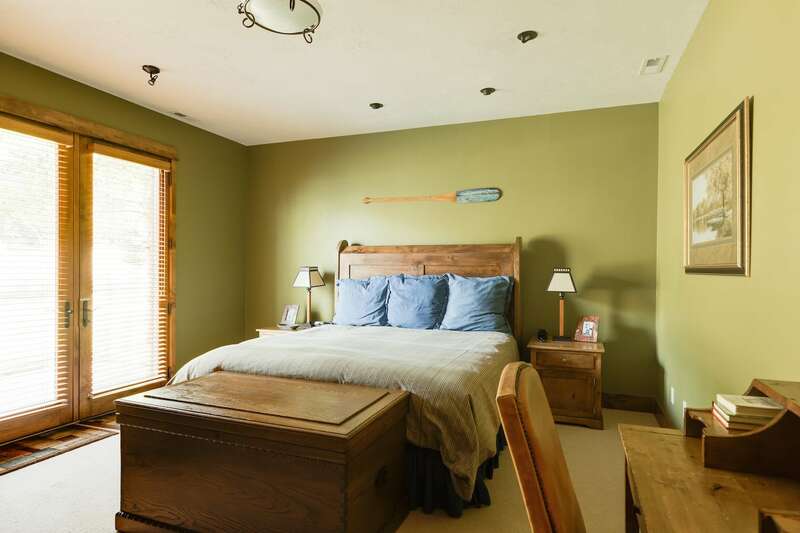 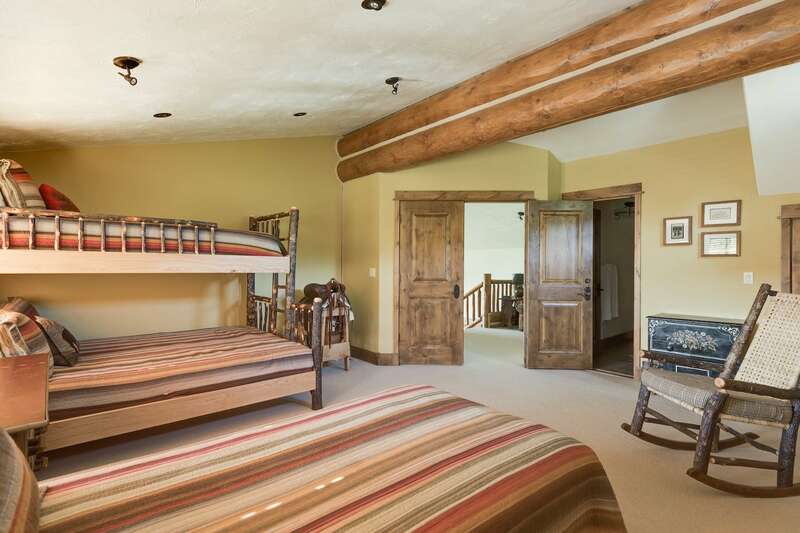 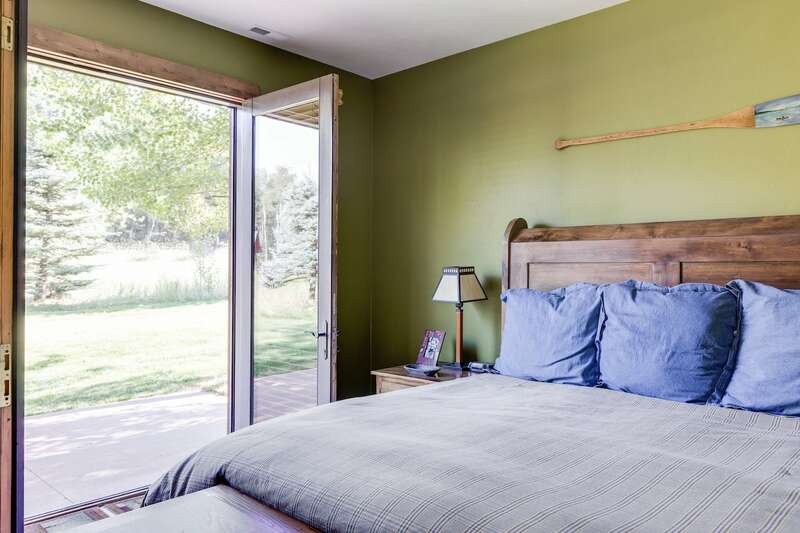 The master bedroom is located on the main level and has a king bed and a glass walk-in shower. 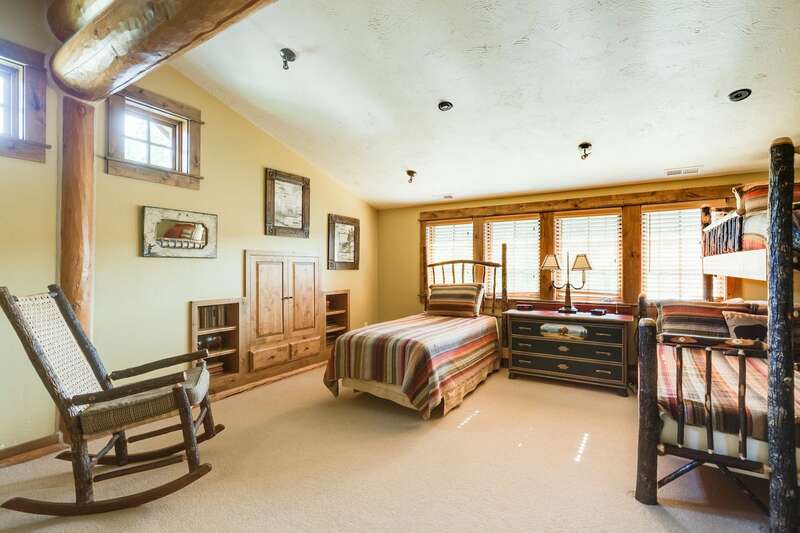 The two other bedrooms are located on the upper level. 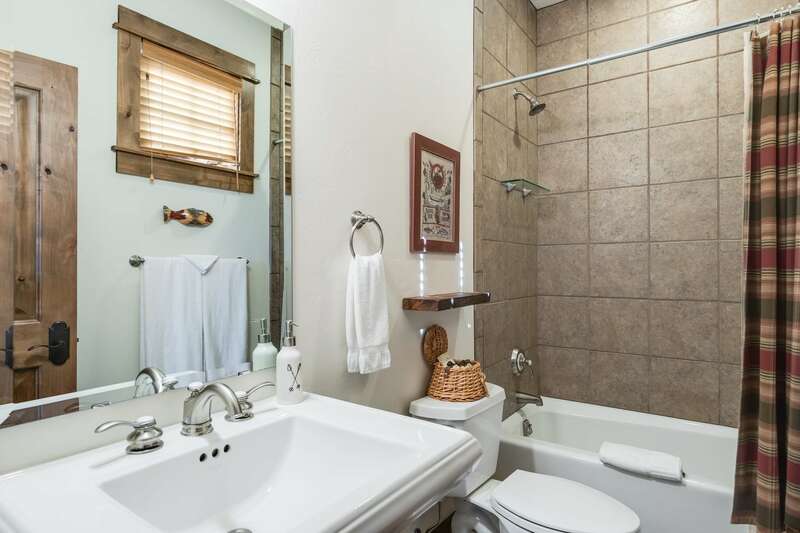 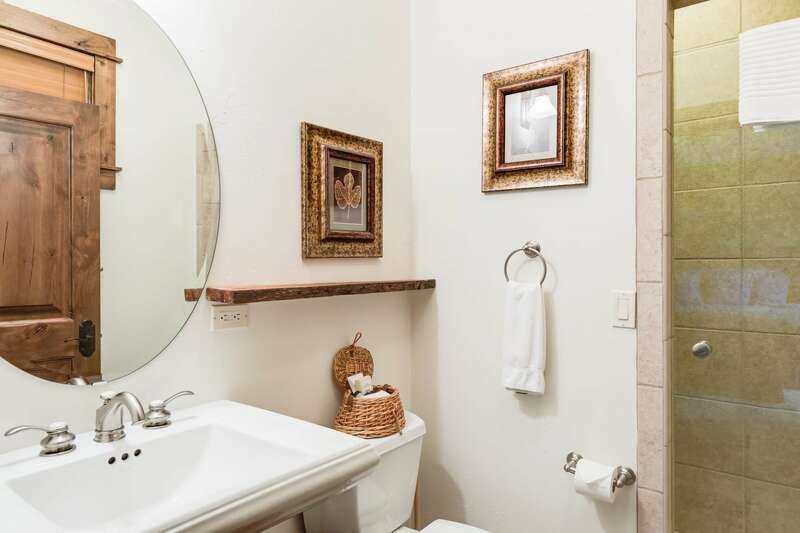 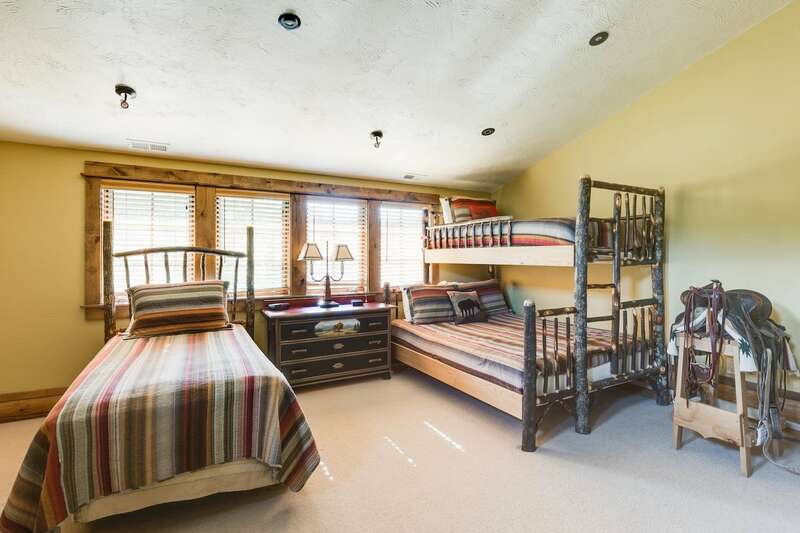 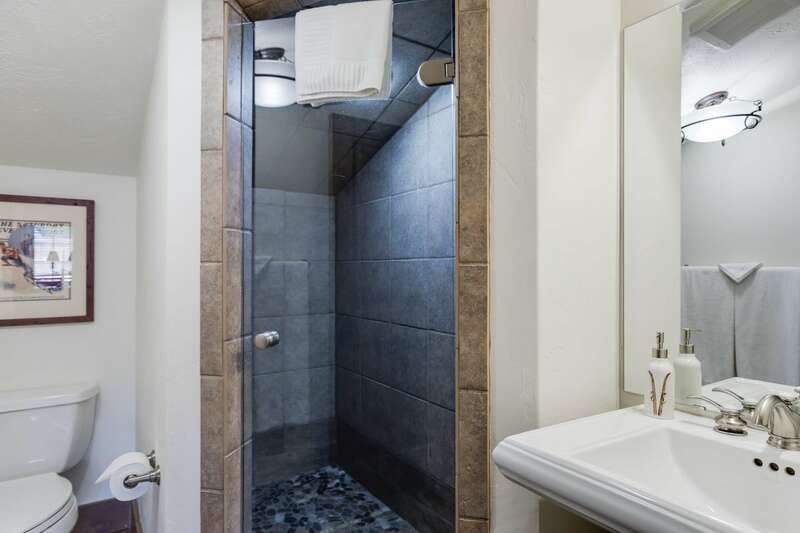 One bedroom has a queen bed while glass walk-in shower while the other boasts 2 twin beds and has a shower/tub combo. 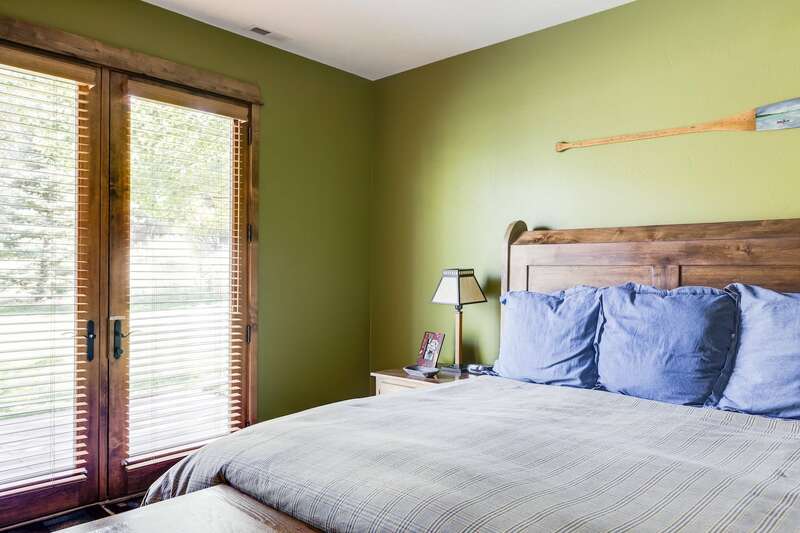 An additional sleeping area is available in the media room, which has a queen sleeper sofa, and a full day bed with a full trundle. 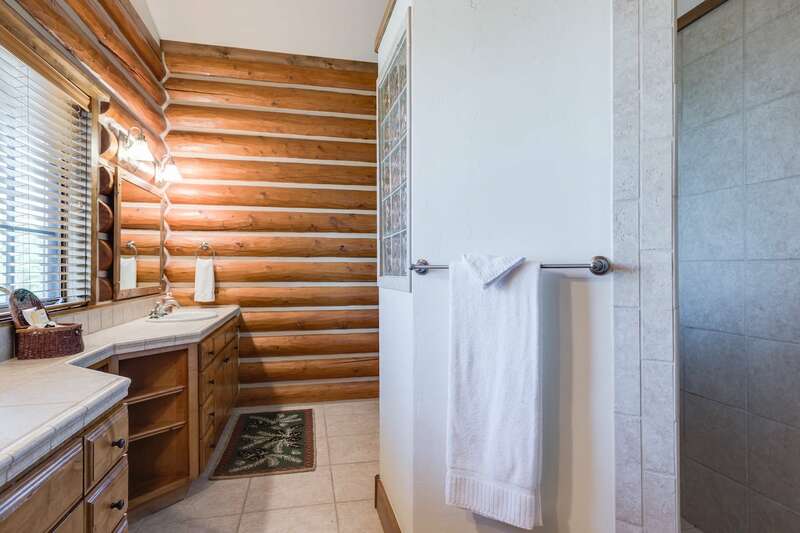 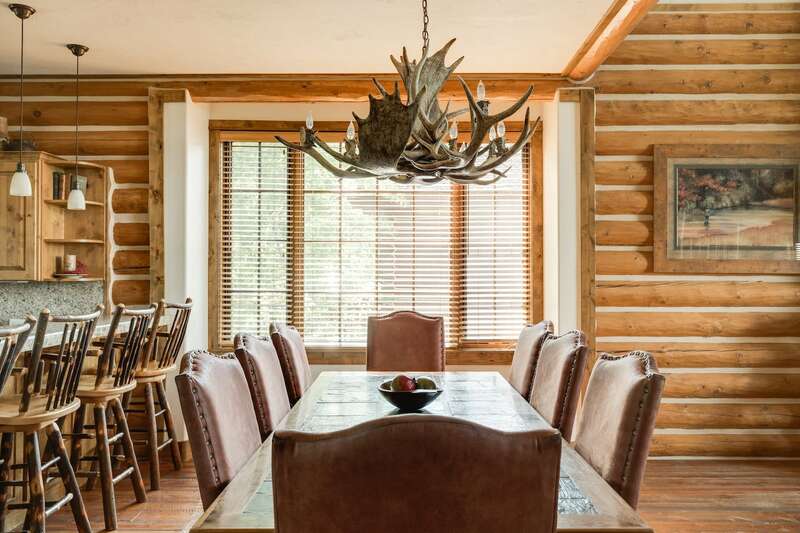 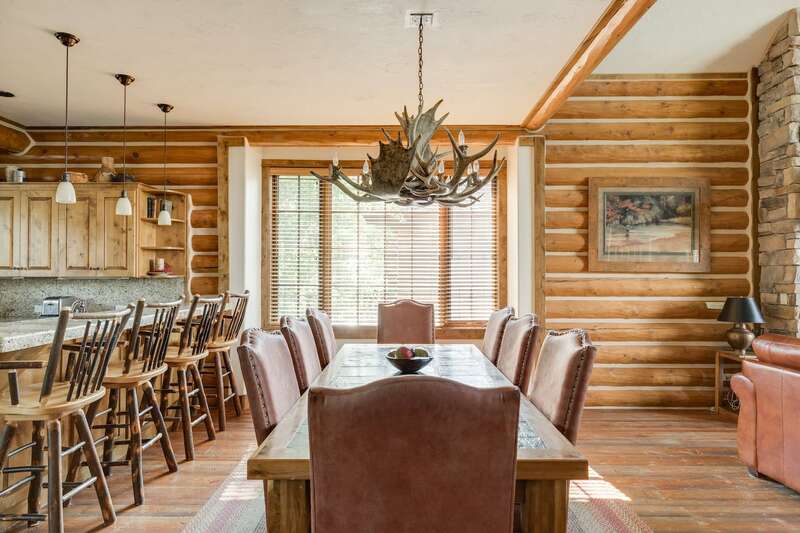 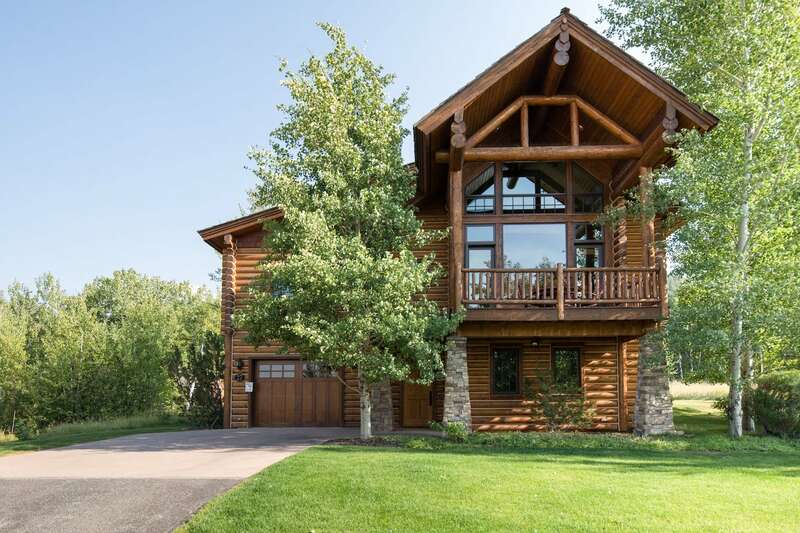 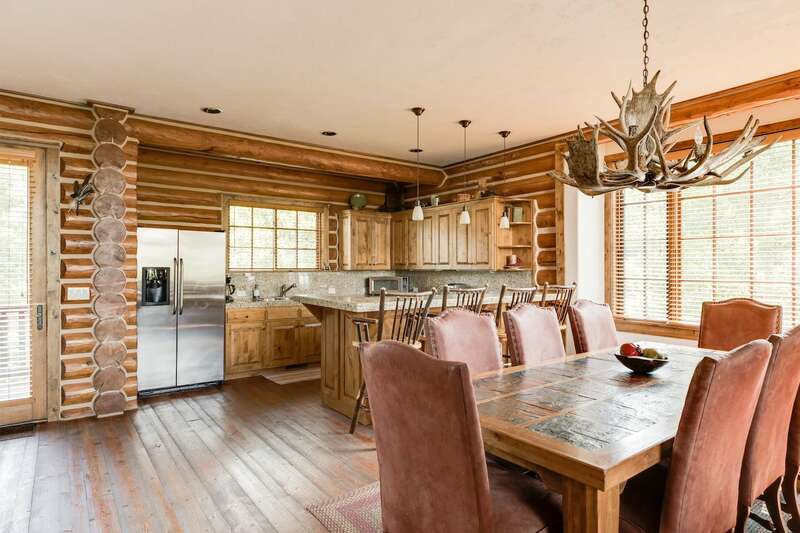 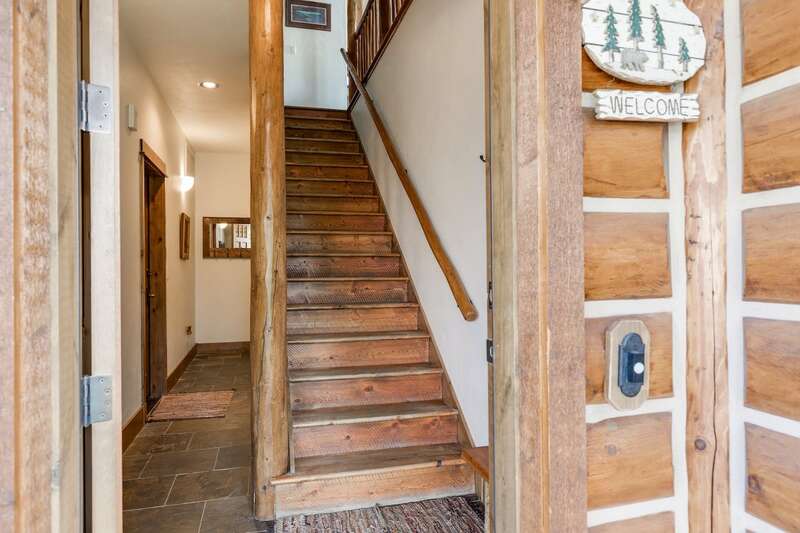 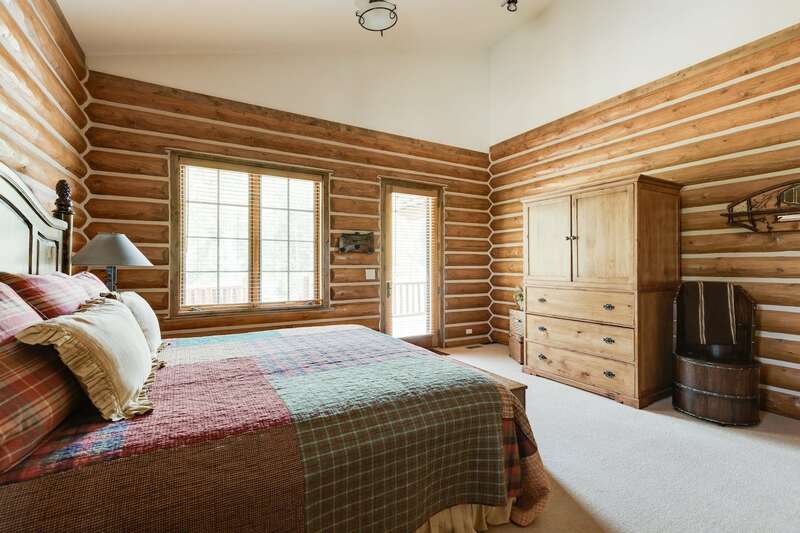 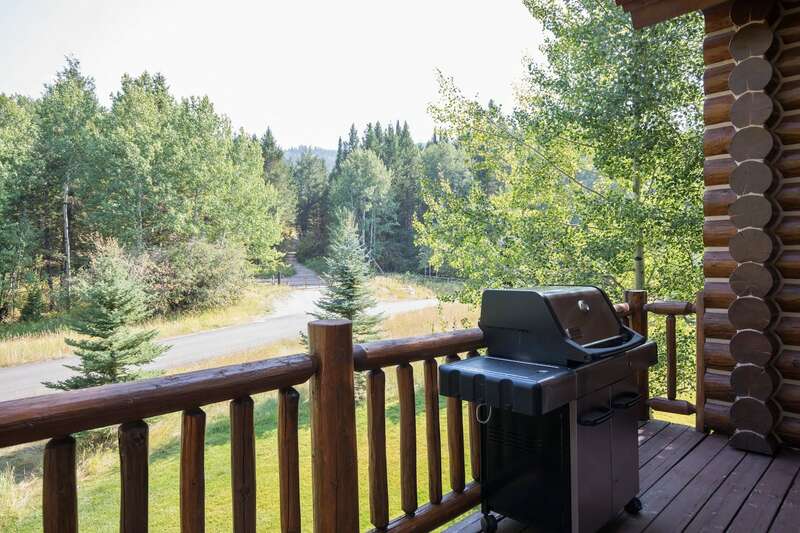 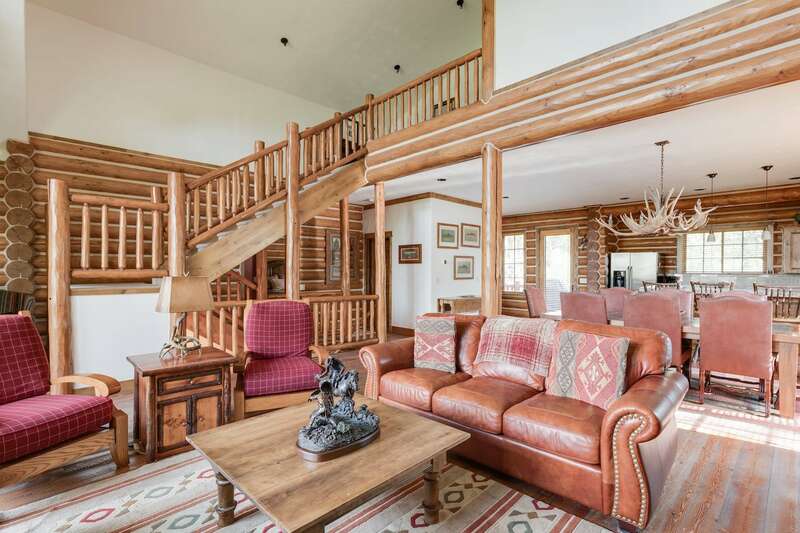 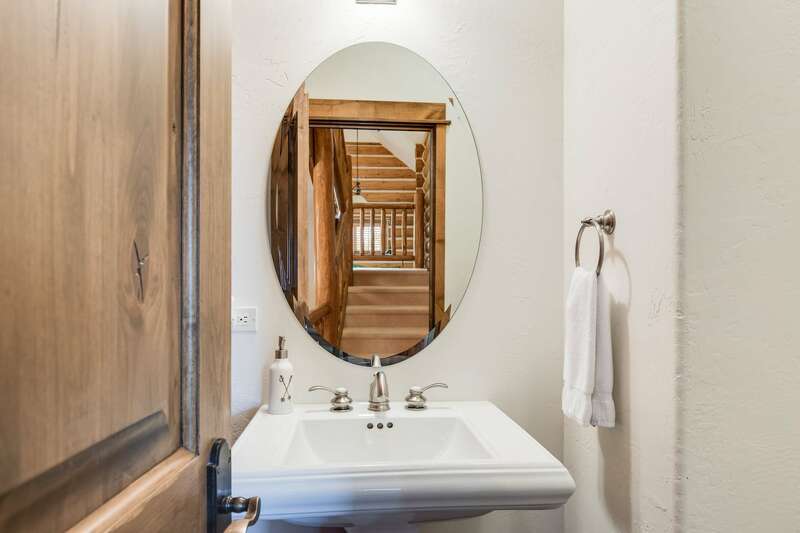 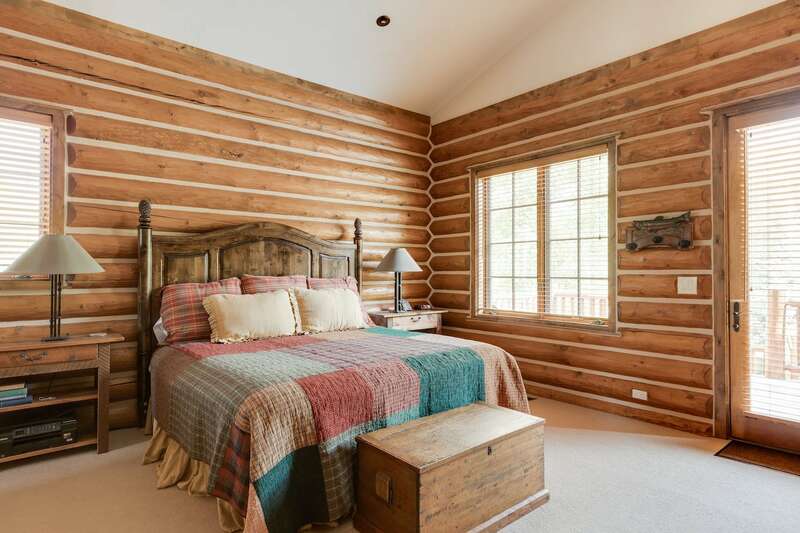 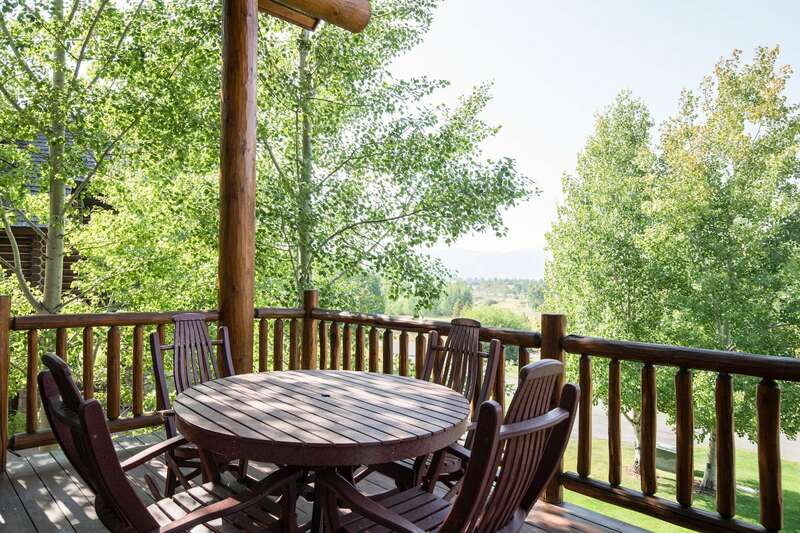 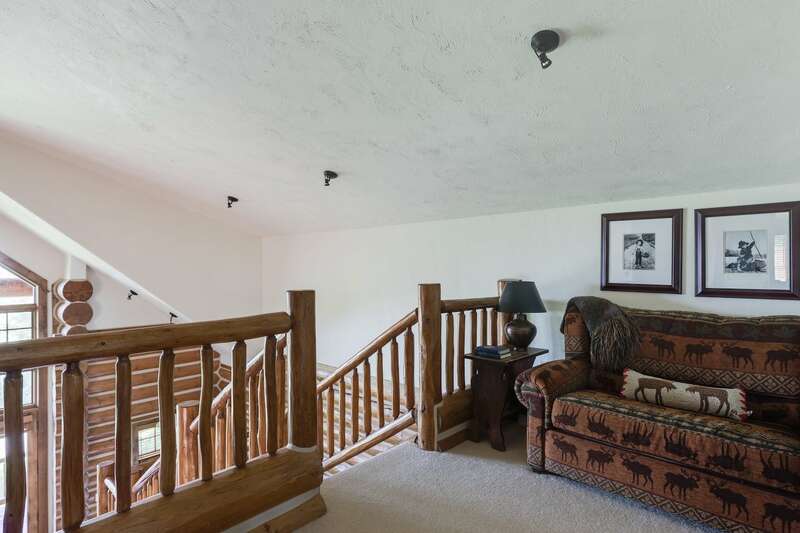 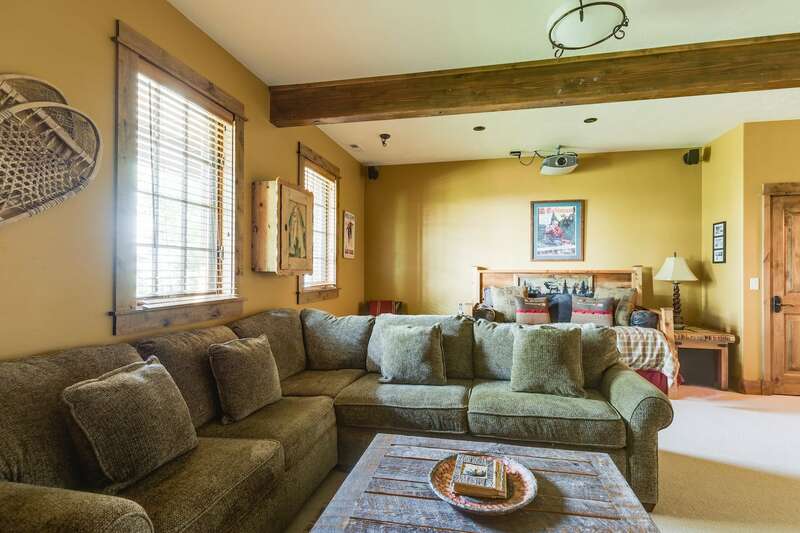 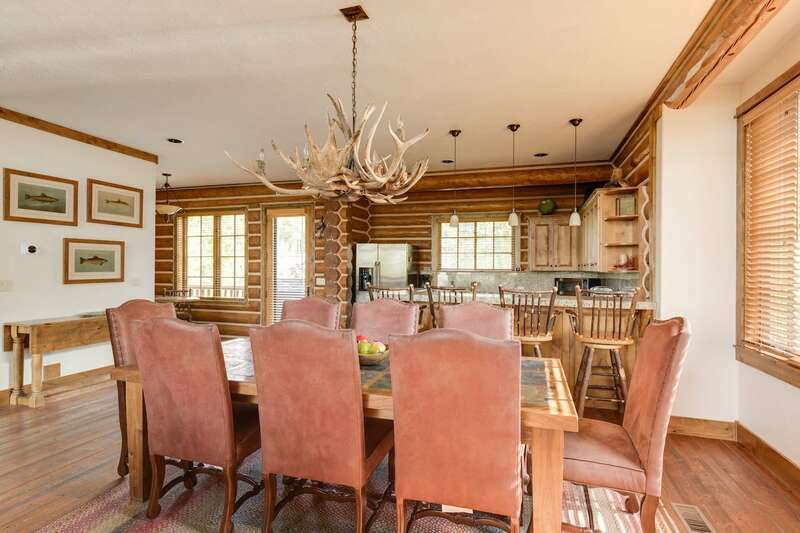 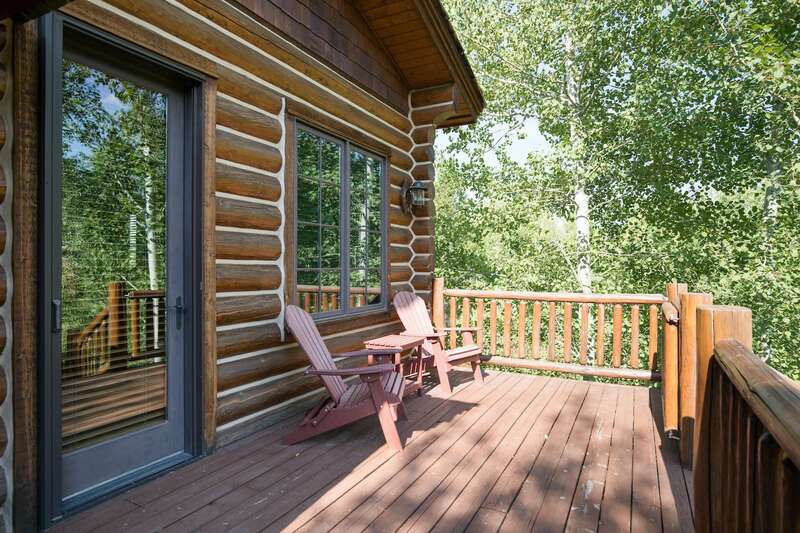 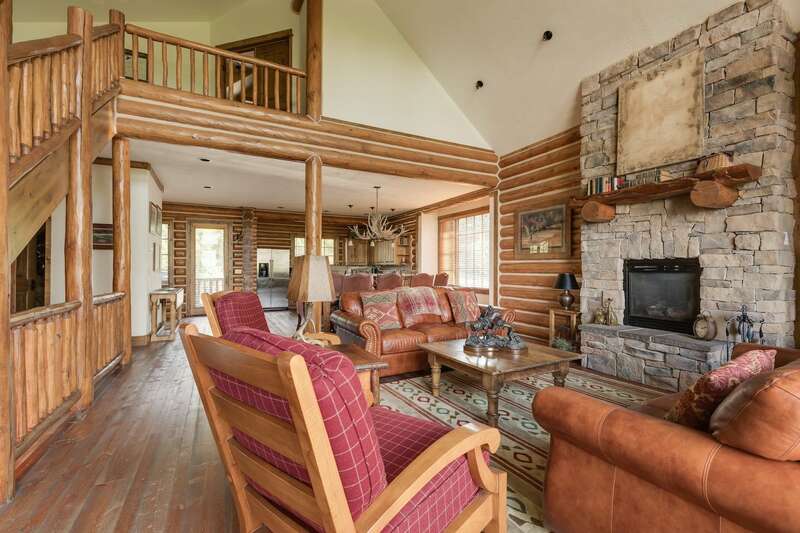 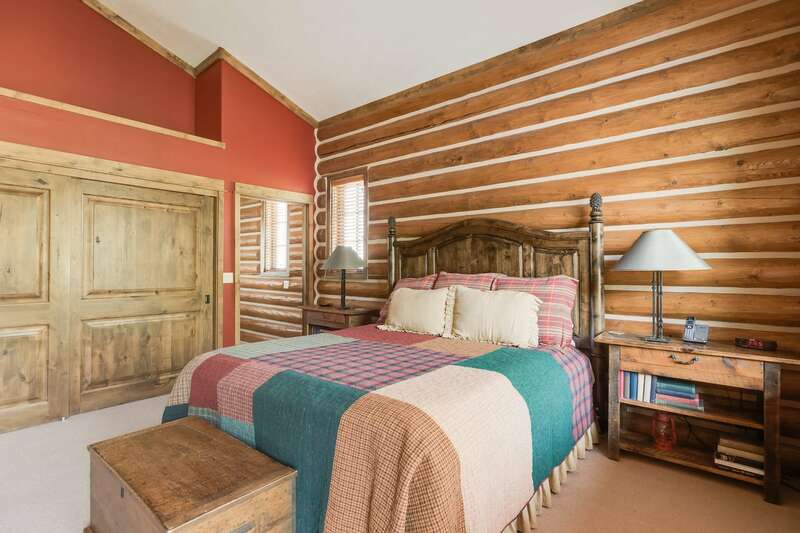 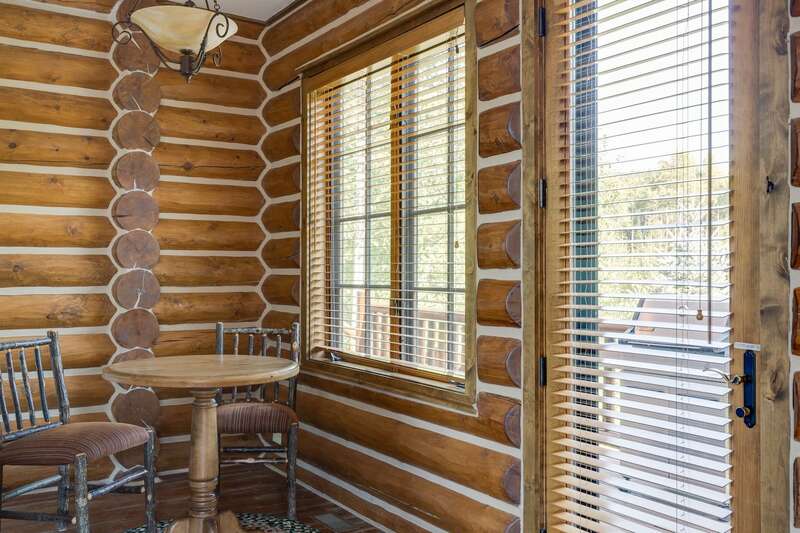 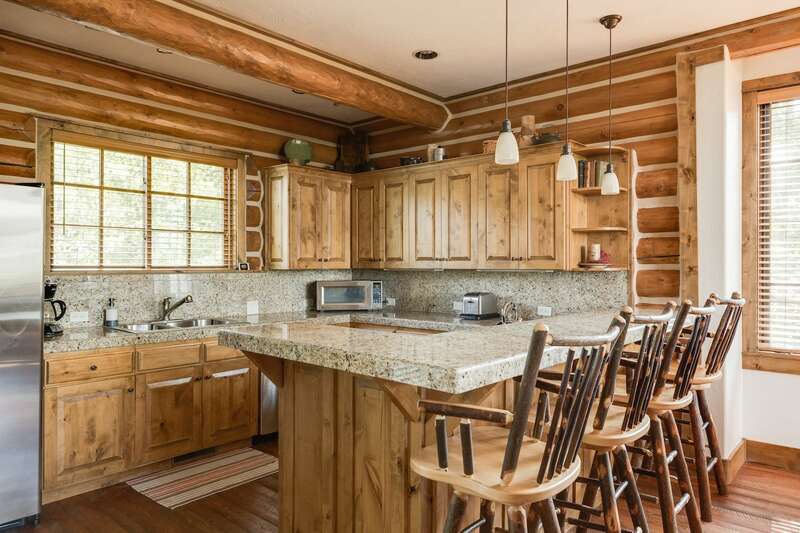 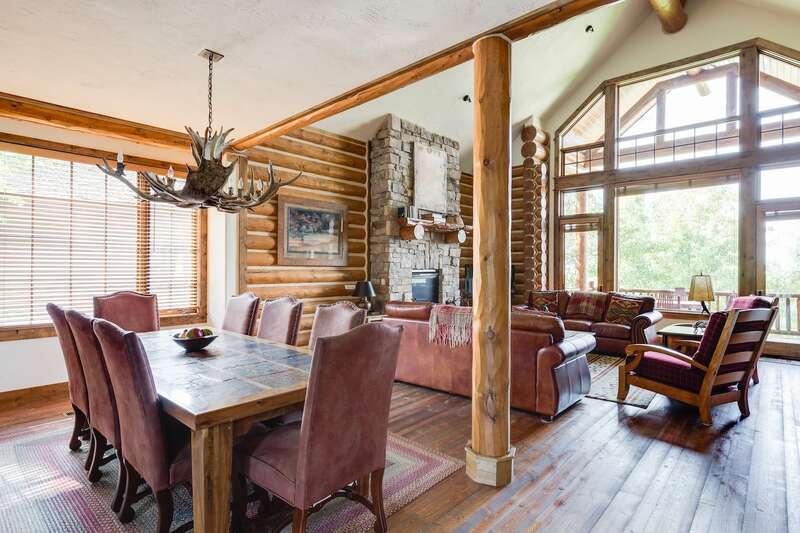 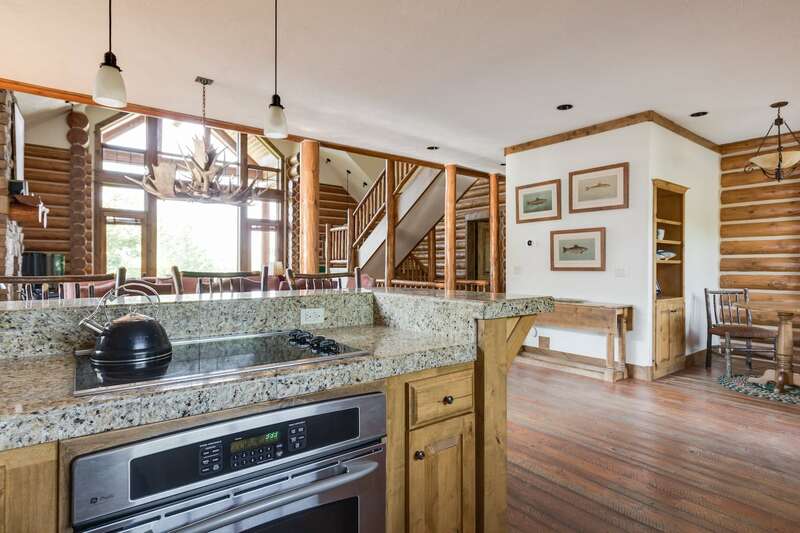 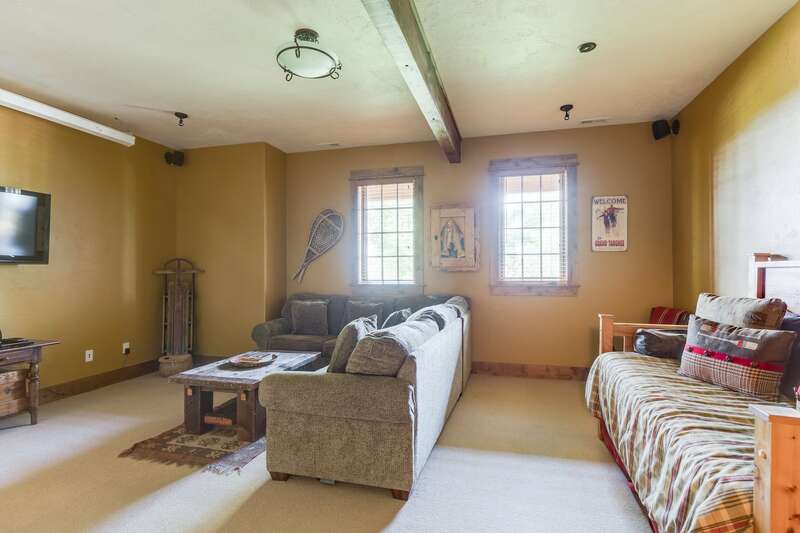 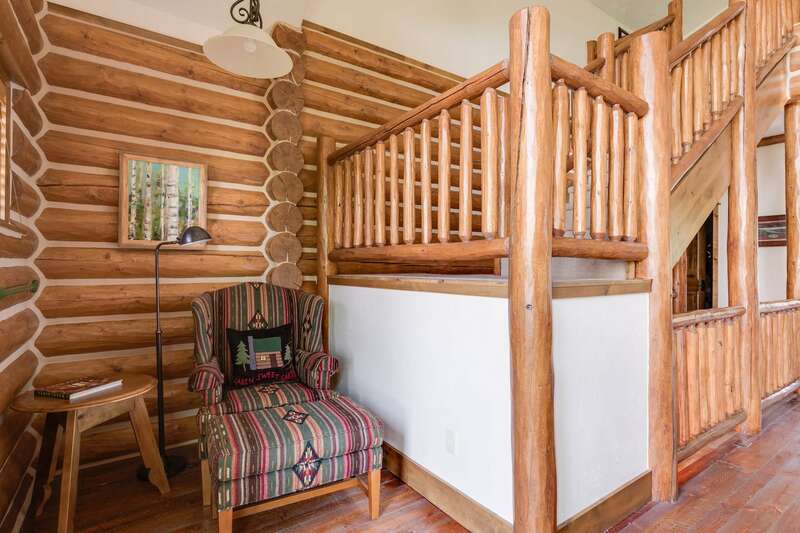 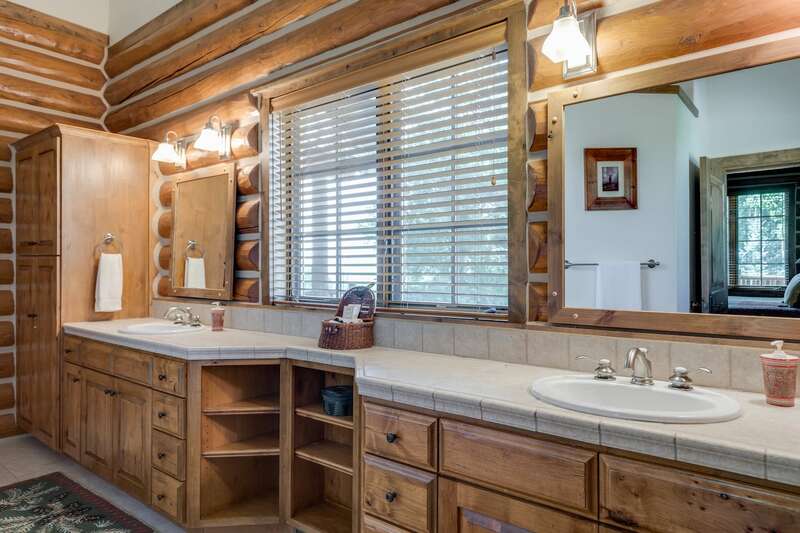 Charming log cabin with media room and modern amenities bordering Caribou-Targhee National Forest.